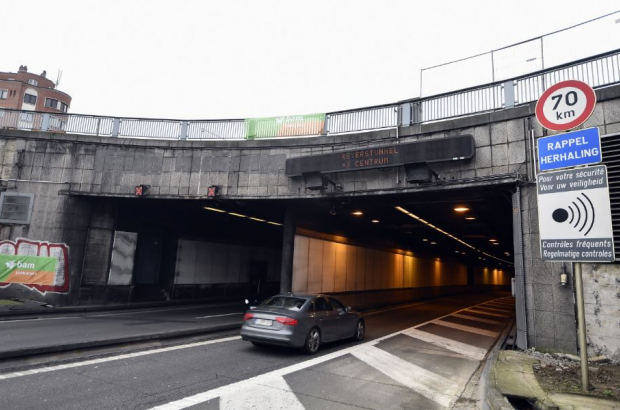 Repair works on the Reyers tunnels - where the E40 motorway from Liège enters Brussels - are taking longer than expected, Brussels Mobility has announced. Three of the six tunnels remain closed. The tunnels from Montgomery and Meiser towards the motorway are now due to reopen in March - instead of late January as first scheduled. The reopening of the Reyers-Montgomery tunnel is now expected in June. "When we started digging on the site, we discovered pipes and cables that were not on the plans," said a Brussels Mobility spokeswoman. "We had to identify what they were and move them to ensure continued provision of water and electricity to the neighbourhood." Building work was also delayed due to structural concerns at Diamant pre-metro station, and by inclement weather before the summer holidays. Brussels Mobility said the extra time needed was small "given the colossal nature of the project" - which began late because of a road collapse on Chaussée de Louvain. Seems to be a national problem. The starting date of roadworks is usually clear, but when they will end is nearly always a mystery. One or even two years later than the date originally announced is not that unusual. One would think that penalty clauses would make delays too costly for the contractors hired but that never seems to an issue. What about Tervuren? Does anybody know when Tervuren road work wıll end?